Oh holy crap, here it comes again. How ’bout a little Hot Tub Christmas? Having reached the age of consent, do we love the holiday season in the same way we did as kids? I think it is fair to say that no, no we do not. Among my nearest and dearest, there are some notable exceptions – adults who throw themselves into the holidays with reckless abandon, festooning entire houses (indoors AND out), shopping till all hours, sending hundreds of festive holiday cards, baking, cooking and generally making merry until they crumble into an exhausted, disoriented heap on December 24th, sucking their thumbs, weeping openly and calling for the gin bottle. God bless ‘em. I’m just wondering: Have you noticed that the holidays seem to start up again about fifteen minutes after you get the decorations down and the taxes paid? How is that possible? Why don’t we just leave the lights up all year and start Christmas shopping for 2012 NOW? I’m not going to say I hate Christmas, because then I would be on record as hating every single holiday of the year, and that’s not much fun. 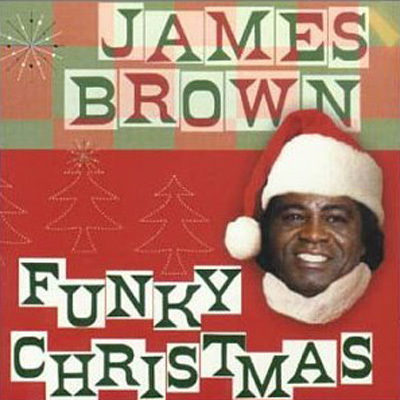 I will say that each year I find it a little tougher to get my groove on come December, but groove we must, if only for the sake of the children. One way I’ve found to get things going is to knock back a little high-octane eggnog, dust off my Christmas playlist and rock around the Christmas tree a time or two. Generally this is enough to get me to the trough, so the speak, and from there the drinking’s the easy part. So ladle up some punch and let’s do this thing. Santa Claus is Back in Town, Elvis — I always kick things off with this one. Honky tonk heaven. The Chanukah Song, Adam Sandler — We’re ecumenical. Baby, It’s Cold Outside, Dean Martin — Gives me a nicotine fit just listening to it. Santa Baby, Eartha Kitt — Catwoman sings Christmas or no one does. Baby Please Come Home, U2 — I love Bono even more when he begs. Baby Please Come Home, Darlene Love — The song so nice we play it twice. Blue Christmas, Elvis — A bit of a downer, but you’ve got to do it. The Chipmunk Song, Alvin and the boys — Oh yes, I do. You’re a Mean One Mr. Grinch, Thurl Ravens — Sing along. I dare you. I Saw Mommy Kissing Santa Claus, Johnny John Cougar Mellencamp – what the hell is that guy’s name anyway? Little Drummer Boy, Bowie and Bing — Kind of a drag, but it seriously redefines the notion of getting your freak on, no? Feliz Navidad, Jose Feliciano — You know you love it. Father Christmas, The Kinks — A little subversion with your Christmas pudding? Yes, please! Run Rudolph Run, Chuck Berry — I defy you not to be dancing by the second bar. Merry Christmas (I Don’t Want to Fight), The Ramones — Just because you can, it doesn’t mean you should, but that’s what the holidays are all about, n’est-ce pas? What Christmas Means to Me, Stevie Wonder — What’s a party without Stevie? A trip to your inlaws’. That’s what. Jingle Bell Rock, Bobby Helms — A must. Santa Claus is Comin’ to Town and Merry Christmas Baby, Bruce Springsteen — For those of us who remember when he was the only guy on the radio who actually played an instrument, he gets two. Rockin’ Around the Christmas Tree, Brenda Lee — Because my mom says so. What have I left out? Suggestions welcome, but please bear in mind I have a firm NO BEACH BOYS policy, so don’t even bother with that shite. Posted on December 3, 2011, in Holiday fare, Music, Party! Party! and tagged Christmas, Humor/Commentary, Music. Bookmark the permalink. 14 Comments. I am with your Mom on this list.. and NO U2 EVER! You need to update and add a few Annie Lennox on there. Her latest Christmas album is awesome. I’ll give Annie a try, but I try to stay away from any droopy Christmas tunes whenever possible. I find it’s best to keep things up-tempo. Of course Annie can really sing, and that’s always a plus. Surely by now you know I have an unshakable no Beach Boys policy, Tom. How about sliding 2000 Miles by The Pretenders after Chuck Berry to slow things down a little before the big finish? You have to throw one of the queens of rock a little love. I wrestled with that one. My love for Chrissie knows no bounds, but in the end, the song was just a little too down-tempo to include in the mix. But if you feel the experience would be improved by this addition, go for it. Here’s an outlier – Little Road to Bethlehem, Shawn Colvin. A nice bouncy tune, pretty lyrics, and a lullaby with sheep. Go ahead, mock. We may mock, but we do not judge. Usually. Have Yourself A Merry Little Christmas by James Taylor — gets me every time I hear it. All I Want for Christmas is You by Mariah Carey — makes me dance and sing, what can I say? Christmas All Over Again by Tom Petty — love everything this man sings. I guess I forgot to mention my NO MARIAH policy….Otherwise we are cool here. Clearly missing from your list is the great ipecac of the Christmas holiday season: Bing Crosby singing “I’ll be home for Christmas”! I can think of a hundred less painful ways to induce vomiting and none of them include this song. We have our standards.